Kennedy A. 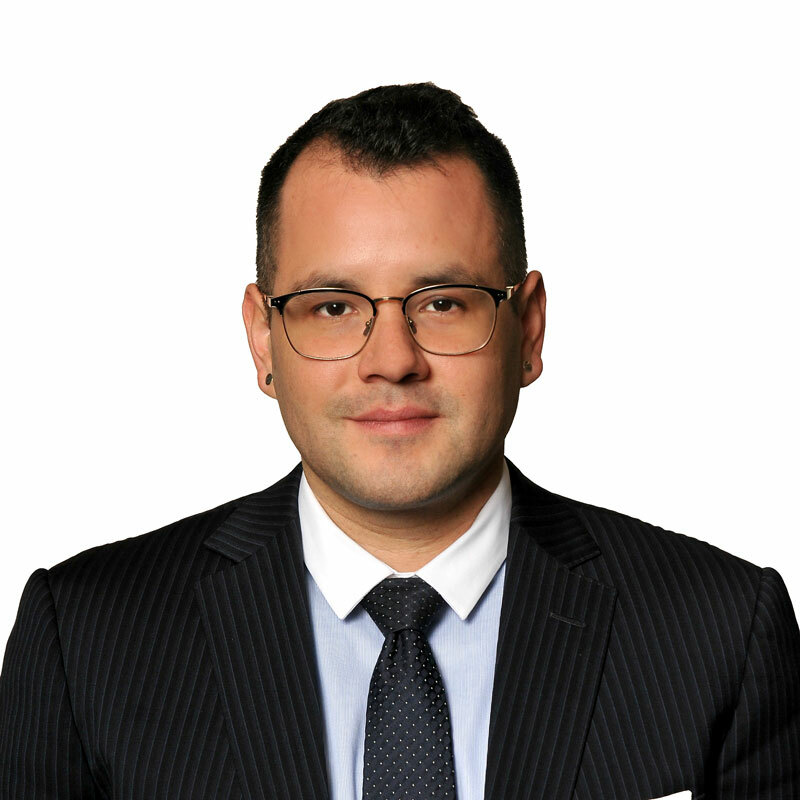 Bear Robe is an associate in Gowling WLG's Vancouver office. His practice includes administrative, aboriginal and environmental law. His advocacy includes representing clients before the Federal Court of Appeal, British Columbia Supreme Court, Alberta Court of Queen's Bench, as well as federal and provincial regulatory tribunals. Kennedy offers practical advice and counsel to clients. He advises Indigenous Nations throughout British Columbia, Alberta, Ontario and Northwest Territories on matters of Aboriginal and Treaty rights, natural resource development and energy supply, environmental assessments and consultation processes, as well as negotiation and drafting of Impact and Benefit Agreements and Government-to-Government Agreements. In addition to legal representation in the courts, regulatory proceedings and in negotiations, Kennedy regularly provides advice to Indigenous clients on self-government and governance issues. Kennedy’s business law practise includes providing advice to Indigenous economic development corporations and businesses on corporate governance, commercial transactions, negotiation and formation of joint ventures and partnerships, as well as procurement processes. Kennedy is Siksikaitsitapi (Blackfoot), member of the Siksika Nation. He is results-oriented, collaborative, and passionate about helping Indigenous governments to advance rights-based negotiations and strategic litigation. Speaker for “Cultural Competency for Lawyers” through The Continuing Legal Education Society of British Columbia on September 17-18, 2018. "Revenue Sharing: A New Fiscal Relationship," CBA Annual Aboriginal Section Conference, June 8-9, 2018, Whitehorse. "The State of Reconciliation: The Current Legal and Political Leadership," Gwich'in Tribal Council - 2018 Academic Conference, University of Alberta, March 5-9, 2018, Calgary. Keynote on Canada's Bill C-69, an Act to enact the Impact Assessment Act, and Indigenous Process Considerations, Indian Resource Council of Canada (IRC) Annual General Meeting, March 6-7, 2018, Edmonton. Presentation on the Natural Resource Transfer Agreements, Assembly of First Nations (AFN) Lands and Resources Forum, April 11, 2018, Winnipeg. "Indigenous Law Issues 2017," Law Society of Upper Canada Continuing Professional Development Program, November 22, 2017, Toronto. "Indigenous Consultation BC - Economic Development and Employment," Canadian Institute, September 19-21, 2017, Prince George, BC. "Key Agreements Between Industry and First Nations: Achieving Certainty and Fairness," Pacific Business and Law Institute, April 4, 2017, Vancouver. "Building Aboriginal Relationships in BC", Canadian Institute, September 21, 2016, Vancouver. "North of 60: Actualizing the True Economic Potential," May 31 and June 1, 2016, Yellowknife, NT. Aboriginal Law Conference 2015, CLEBC, November 6, 2015, Vancouver. Keynote luncheon speech (panel) on resource development activities and bringing economic development opportunities to Aboriginal communities, National Aboriginal Business Opportunities Conference, September 17, 2015, Osoyoos BC. "Building Aboriginal Relationships in BC," Canadian Institute, November 25-26, 2014, Vancouver. National Aboriginal Business Opportunities Conference, September 9-11, 2014, Osoyoos, BC. "2nd Mining Agreements," Federated Press, April 15-16, 2014, Vancouver. "Western Aboriginal Consultation & Negotiation," Canadian Institute of Energy, February 11-12, 2014, Edmonton. "Case Commentary: Gitxaala Nation v. Canada, 2016 FCA 187," Aboriginal Law Update, July 2016. "Case Commentary: Coastal First Nations v. British Columbia (Environment), 2016 BCSC 34," Aboriginal Law Update, February 2016. "The New New Relationship: Legal, Political and Business Implications of the Tsilhqot'in Decision," Aboriginal Marketplace, 2015. "SCC Ruling on Aboriginal Title: Tsilhqot'in Nation v. British Columbia, 2014 SCC 44 and Significant Changes to the Legal Landscape," Aboriginal Law Update, July 2014. Counsel, Bigstone Cree Nation, in the Federal Court of Appeal, Bigstone Cree Nation v. Nova Gas Transmission Ltd., 2018 FCA 89.